I haven’t quite hit the acceptance point in my five stages of World Cup–ending grief. Maybe if I just keep writing about it, the World Cup will come back. (That makes this the bargaining stage, I guess.) 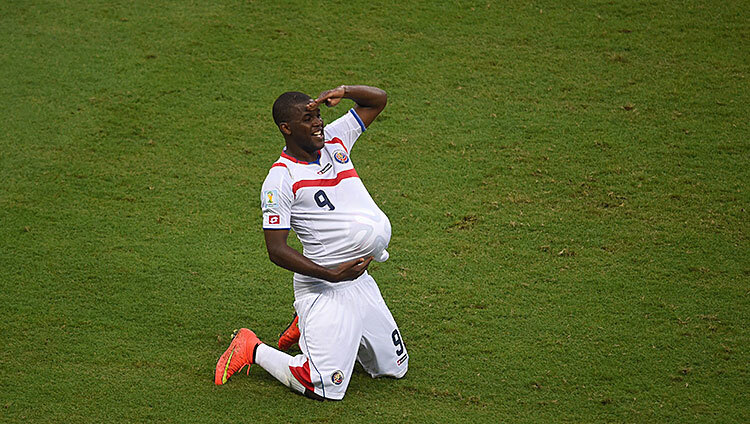 As I refuse to let go, here are five things we learned from the 2014 World Cup. Spain was so good, for so long (three major trophies over a six-year reign), we forgot there were different ways teams could succeed in a tournament. When Spain went out in the first round of this World Cup, that changed. Germany won the cup, and while there were shades of the Spanish system evident in the German approach (Germany and Spain develop youth as well as any two countries on the planet, creating great chemistry), the Germans were far more adaptable than the Spanish. Argentina succeeded by building a system designed to lean heavily on two big stars. Brazil focused on pragmatism, which worked until it didn’t. And nobody tore up blueprints like the Netherlands. Manager Louis van Gaal abandoned almost 40 years of Dutch tradition, moving from a flowing 4-3-3 system to a structured, defensively oriented 5-3-2-ish man-marking approach. The third-place finish by a not particularly highly regarded Oranje team showed that success can come in all shapes and systems. It’s a welcome change. One thing every successful World Cup team had in common was that they all employed defensive pressing, to some degree or another. The most extreme example were the cardiac kids of Chile, who took man-marking to new, quasi-suicidal levels. But everybody from Argentina to Costa Rica used some form of press or another. That’s great for fans everywhere, because when teams press, it keeps the pace of the game high. This era of soccer is becoming increasingly unfriendly to sides that want to defend deeply and compactly, or teams that want to keep the ball in their own half and slow down the game while they conserve energy. This press-crazy philosophy sometimes leads to wide-open games with lots of goals, or you get two good defensive teams nullifying each other. It might be a tactical fad, or it might be the natural evolution of the sport: The game is being played by better athletes, with an increased emphasis on fitness to complement skill. There are surprises at every World Cup, but it’s hard to ignore that Spain, Portugal, Italy, and England all went home before the knockout stages, while three out of four CONCACAF teams progressed. Costa Rica was a penalty shootout away from going to the semifinals, and Algeria took the eventual champions into extra time in a thrilling round-of-16 game. Countries like Germany, Brazil, and Spain are going to continue to enjoy talent advantages over the rest of the world for years to come, but as clubs and countries continue to scour the globe for talent, the gaps are closing. That makes it all the more likely that, in an upcoming World Cup, some nontraditional powerhouse nation could shock the world. In some ways it’s surprising it hasn’t happened yet (as it did with Greece at the Euros in 2004), given how fine the margins are in soccer. That’s why despite emerging from the group of death, the U.S.’s loss to Belgium still feels like a missed opportunity. Were Belgium (and probably Portugal as well) better teams? Sure. But not that much better. That’s a trend that’s going to continue. Bill Barnwell talked about this on Monday, but it’s worth going into here, too. Dealing with concussions is going to be an ongoing challenge and an uphill fight in the soccer world. If this World Cup showed anything, it’s that the old belief that there aren’t enough concussions in the sport to make precautions warranted is dangerously wrong. Three times over the course of 64 games, audiences were treated to the sight of concussed-seeming players (Álvaro Pereira, Javier Mascherano, and Christoph Kramer) staying on the field after blows that would have seen them sidelined for days, if not weeks, in American sports. All three stayed on the field following their injuries, and only Kramer was eventually substituted off. And those are only the most obvious ones; there were countless other collisions, smacks, thunks, knocks, and bangs that probably at least warranted attention, if not action. There are lots of possible solutions to help protect players while disrupting the game as little as possible — an extra concussion sub for head injuries, temporary subs to allow players to get checked, independent medical observers who mandate concussion checks. All of these options need to be considered, and the sport needs to work out a way to make the game safer for players while also not overly slowing down the continuous action that makes soccer unique. There are arguments for any number of approaches. 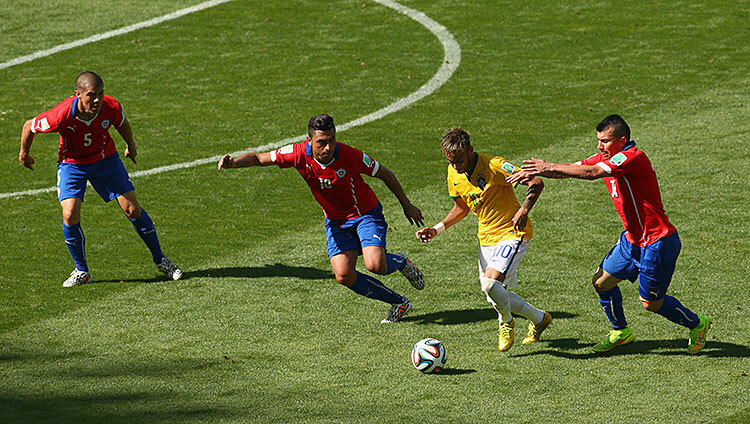 What there isn’t, as this World Cup showed quite clearly, is an argument for doing nothing. This World Cup pretty much had everything, on the field and off. It started with an insane group stage full of upsets and ended with the coronation of Germany and the potential start of a dynasty. Along the way, some new stars, like James Rodríguez and Mario Götze, emerged; some of the best in the game, like Arjen Robben and Lionel Messi, performed minor miracles; and others, like Luis Suárez, made headlines for other reasons. At home, the USMNT became rock stars, with TV ratings going through the roof and huge public viewing parties taking over cities. This of course spawned an unending number of “Has soccer made it?” columns across the country. That misses the point. This World Cup was amazing and memorable. Maybe the popularity is a sign of things to come, maybe it was the perfect storm of a time zone–friendly tournament coinciding with a successful American team. Maybe it’s completely unrepeatable. Whatever the case, this World Cup was special. But you know what? Every World Cup is special. Four years from now in Russia, something else amazing will happen. A different star will rise, and a different team will thrill. I’ve got no idea if a World Cup in Russia will galvanize the U.S. the way this one did. But I do know I can’t wait to find out four years from now.